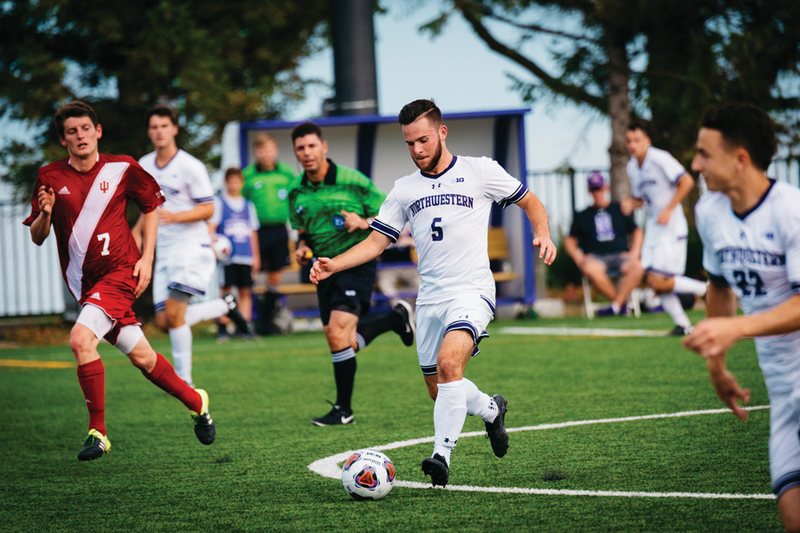 On Friday, Northwestern went into overtime against Maryland, the fourth time the Wildcats have played in extra time this season. Previously 1-1-1 in overtime games, NU (4-2-1, 0-1-0 Big Ten) lost a heartbreaker against the Terrapins. Six minutes into the first overtime period, Maryland (2-2-2, 1-0-0 Big Ten) moved the ball into its attacking third. A fight for the ball landed at the feet of William James Herve, who took a shot from right outside of the box. A seemingly-easy save for goalie Miha Miskovic proved costly as the ball rolled right through his legs giving the Terps a win and Herve his second goal of the game. Despite the unlucky goal at the end, Miskovic had a career game with six saves, the most in a single game of his collegiate career. Maryland outshot the Cats 20-4 in the game, but the Cats created plenty of chances on their attacking third, especially in the second half. NU did a better job maintaining possession of the ball in the second half. The combination of forwards Mac Mazzola and Jose Del Valle put pressure on the Terps defense in the second half, something Lenahan said he has stressed throughout the season. However, the Cats did not break through for their first goal of the game until the 61st minute. After a cross by graduate defender John Moderwell was cleared by the Terps, the ball went right to senior midfielder Camden Buescher at the top of the box, who hit a one-timer into the top left corner of the net. The senior midfielder is in the midst of a breakout season. With the goal, Buescher leads the team in both points and goals with 7 and 3 respectively. His three goals this season match the amount he had in the past three seasons combined. Maryland got its equalizer in the 84th minute when Herve hit a shot past Miskovic inside the far post and eventually scored the game-winner in overtime. Despite the loss, Lenahan said he is seeing a lot of improvements from his team and believes they will continue to get better in practice this week.